The sign of the woman given in Revelation 12:1-2 has been very clearly identified in Stellarium as having occurred on September 23, 2017, the sign in Revelation 12:3-4 of the red dragon has been much more difficult to find. While the Revelation 12:1-2 sign is a “great sign in the sun, moon, and stars”, the Revelation 12:3-4 sign is “another sign” which appears in heaven. Is “another sign” another of the same KIND of sign as verses 1,2 or is it a different kind of sign? First, let’s examine the possibility that the dragon sign of Revelation 12 is the same kind of sign as the “great sign”. In Revelation 12:1-2, there appears a “great sign” in heaven. This sign includes a woman (Israel) and a child (the body of Christ, the church). This sign can be observed in astronomy software such as Stellarium as occurring September 23, 2017. Unsealed.org has done a magnificent job detailing this sign. However, where is the dragon? In Revelation 12:4, the dragon is literally waiting to devour the child. If it is the same kind of sign as the Great Sign of the woman, we need to be looking for a physical sign in the universe (second heaven). This could involve the sun, moon, and/or stars (constellations). Perhaps it might even include something like a comet or meteor showers. Since there are dragon constellations (Serpens, Draco, Hydra), do these figure into the September sign? Some watchmen do think it appears that Serpens may be involved, as it has 7 heads with 7 diadems on it, and 10 horns. You can see a discussion on this here – the Sign of the Dragon. I haven’t found much on Draco. Hydra also may be involved, as it covers 1/3 of the sky (8 hours) and thus “sweeps a third of the stars of the sky” in its nightly passage. Another suggestion has been made that the Dragon sign might be connected to the Draconid meteor shower in some way. This meteor shower occurs every fall around October. For it to be a prophetic sign, it would need to be markedly out of the ordinary in some way. We will have to just watch the skies and see! 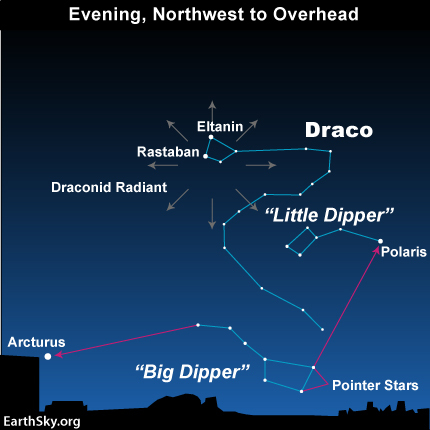 More information on the Draconid meteor showers can be found on earthsky.org. For the October 7, 2017 shower, see their article: All You Need to Know: Draconids in 2017. You may be able to find more information on these three constellations, the meteor showers, and how they interact with Virgo in your searches. Scott Clarke continues to examine Stellarium for the possible Dragon sign of Revelation 12:3-4. His most recent YouTube video here – The REAL Dragon Sign. Next, let examine the possibility that the dragon sign of Revelation 12 is a different kind of sign than the woman sign. No mention is given of the sun or moon in this sign. The sign mentions stars being cast down from heaven in connection with the dragon. From Revelation chapter 13, we clearly are able to identify the seven headed ten horned dragon as the antichrist empowered by satan. We are told later in Chapter 12 that the dragon is, indeed, satan. Could the dragon sign refer to a spiritual battle that takes place in the heavens – the earth’s atmosphere where the powers of darkness currently rule? If so, does this battle occur around the time of the rapture of the church – when the “child” is about to be delivered? Note that the “stars of the sky” and satan and his angels are both thrown down to the earth. Angels are often referred to as stars, and in Rev 12:3-4 it is certain that the 1/3 of stars that the dragon’s tail sweeps are the angels that fall with him. 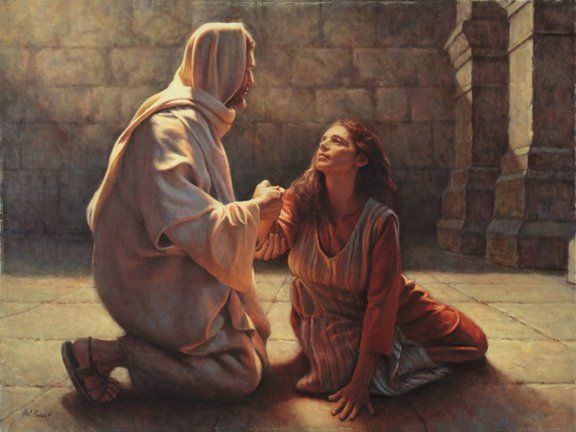 This battle may even include manifestations of fallen angelic beings, which is supported in scripture in coordination with the “great sign” – Then he said to them, “Nation will rise against nation, and kingdom against kingdom. There will be great earthquakes, and in various places famines and pestilences. And there will be terrors and great signs from heaven. (Luke 21:10-11 ESV). Are the stars being cast down from heaven part of the terrors Luke mentions at the very beginning of the birth pains? Unsealed has an excellent article on the Dragon of Revelation 12:3-4 which would seem to support this second interpretation. I personally believe that the dragon sign of Revelation 12:3-4 will be fulfilled by the war in heaven. I believe that war gives us the details of what is happening in the sign, and that it occurs either concurrently or immediately after the rapture of the church. This is further detailed in my Revelation 12 post. I don’t know enough about stars and star maps and mystery planets to definitively identify what might appear to attempt to “devour” the church as it is harpazo’d (snatched, raptured) up to heaven. I *do* know that Michael and the holy angels rise to battle satan and his horde at this time, or shortly after, and that the fallen angels are forever booted out of access to heaven (Rev12). No matter what happens in the star and planetary alignments, the true spiritual battle that it represents will be monumental.